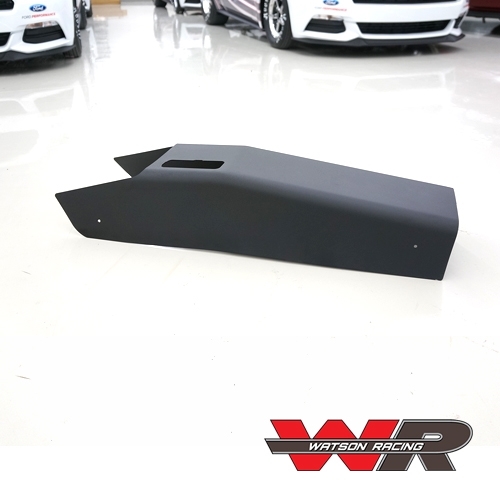 Watson is proud to offer its low-profile, stamped aluminum replacement center console for the serious race car builder. 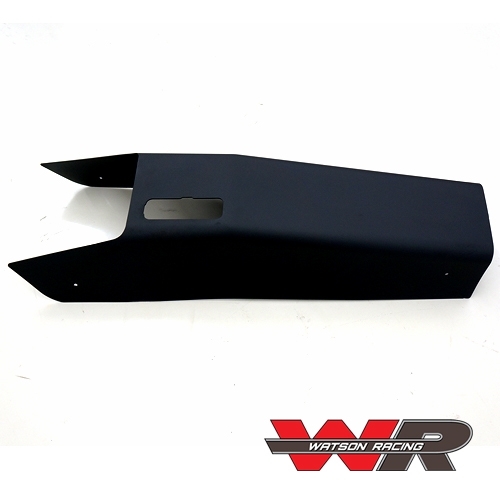 As a service replacement part for the original equipment on our factory built Drag Race Cars. 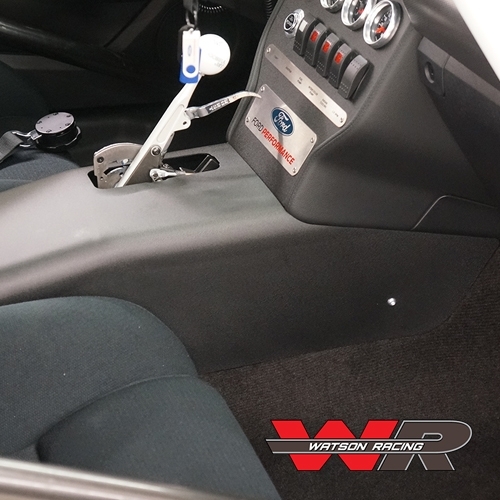 This console is intended to be used in conjunction with the Drag-Race-specific Plain Center Stack Panel and Hurst Quarter Stick Shifter mounting bracket (WR-15-SHIFTERPLATE). 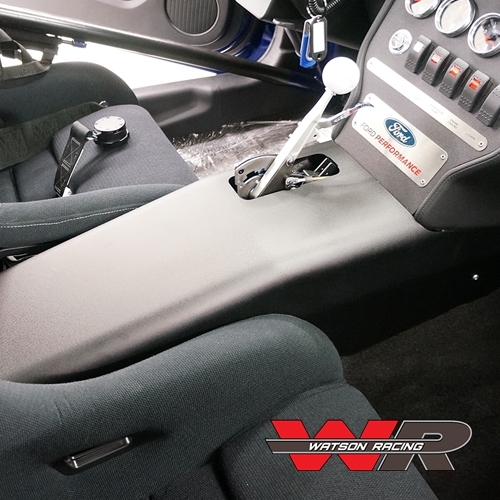 The console eliminates the bulky factory center console and arm rest that gets in the way of shifting during a drag race, and positions your arm in a more natural, comfortable position. 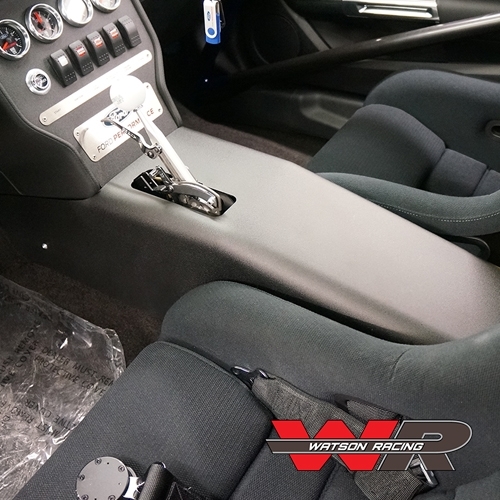 Unique mounting system allows for quick removal in the pits should you need to access the shifter. Powder coated a textured black finish for durability.